Wish you had the skills and knowledge to design powerful websites? 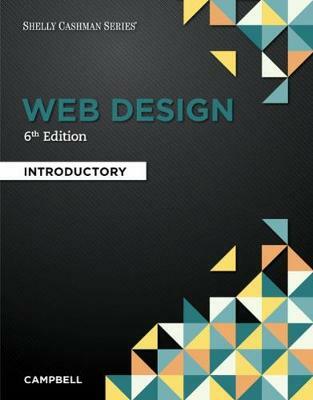 Gain the expertise you need right now with WEB DESIGN: INTRODUCTORY, 6E. Learn how to balance target audience expectations, sound design principles, and technical considerations as you create successful, device- and platform-independent websites. Hands-on, interesting, and practical activities in each chapter check your comprehension, help build your web research skills, and develop your design awareness. You learn how to critically evaluate current issues in today's technology as you examine topics such as search engine optimization (SEO), HTML and responsive web design. WEB DESIGN: INTRODUCTORY, 6E equips you with the key skills you need to develop a solid web design plan of your own in no time.